HALIFAX, NS – Propeller Brewery has announced the release of the latest installment in the One Hit Wonder series of limited edition and one-off beers. Point Pleasant Pale Ale is a 5% abv and 27 IBU American-style pale ale brewed with Columbus hops and described as a “crisp and balanced brew”. 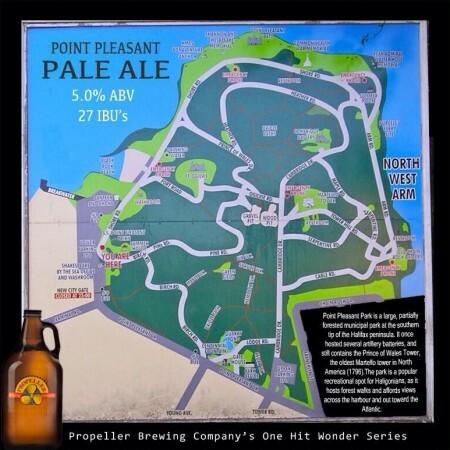 Point Pleasant Pale Ale is available now in growlers at both the Gottingen St. and Windmill Rd. Prop Shop locations, and on tap at select bars around Halifax, while supplies last.